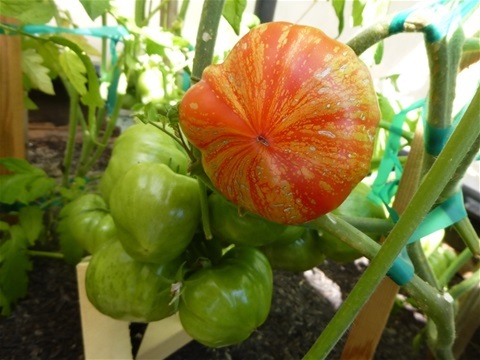 One of our prized and excellent tasting tomatoes... German "Feuerwerk". Scroll Down Below ... for introduction pictures. We also have a new "like" feature button at the bottom of each album to let us know how we are doing... any suggestions, let us know. For over 19 years our "Organic Heirloom micro Farm" has specialized in growing to date over 150 varieties of "rare" Heirloom Tomatoes... and counting. 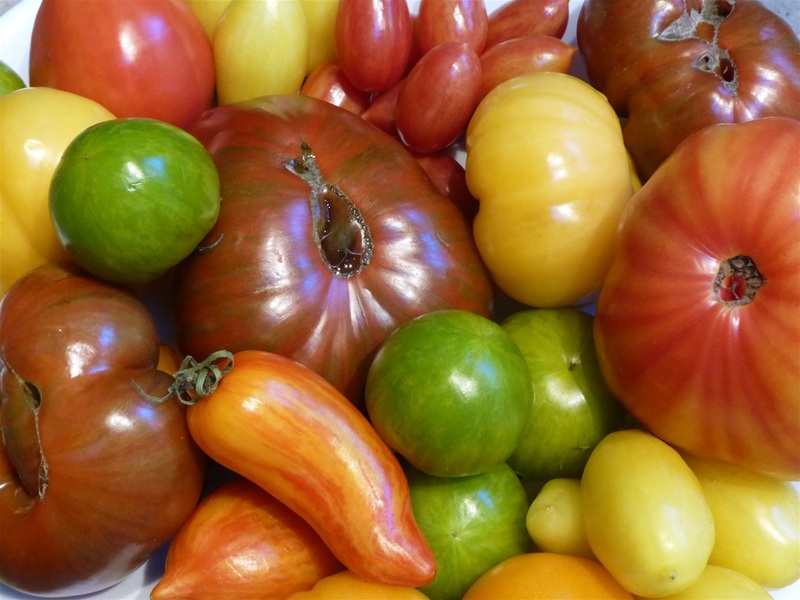 Each year we grow 25-40 new, as well as rotation varieties to continue our favorite heirloom lineages. Our Heirloom Tomato seeds are generally between 70 to over 250 years old in lineage. Most of the tomatoes shown in our album above, have taken a minimum of 3 years to properly establish and adapt to our soil. As we grow from seeds from all over the world, they can take time to adjust to our own environments. Thus, we have noticed that after 3 plantings... an Heirloom from our own seed produces a robust plant with greater yields. 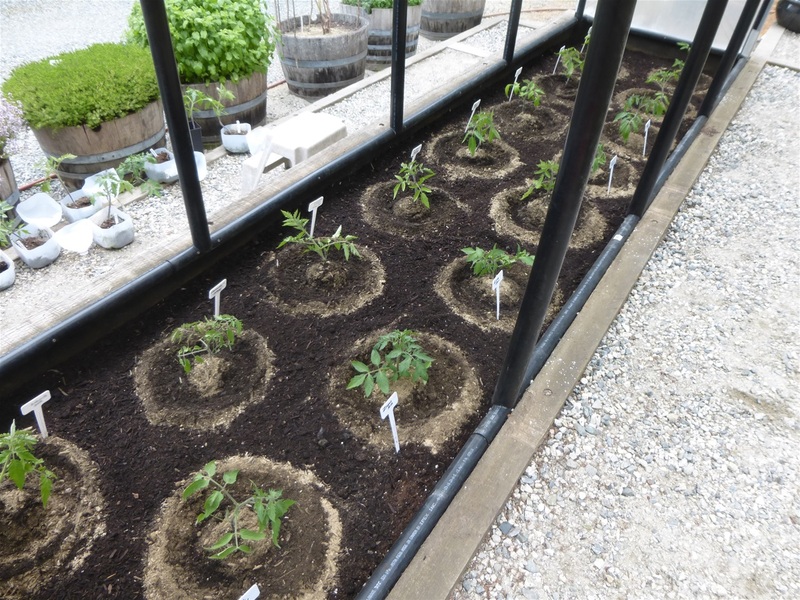 * In addition to our "rare" Heirloom Tomatoes... our farm grows from seed to table each year approx. 20 kinds of Organic Heirloom Vegetables with a selection under each kind, 20 varieties of Gourmet Garlic, 18 Herbs, 11 varieties of Mints/Teas and 17 varieties of Berries (9 are wild). 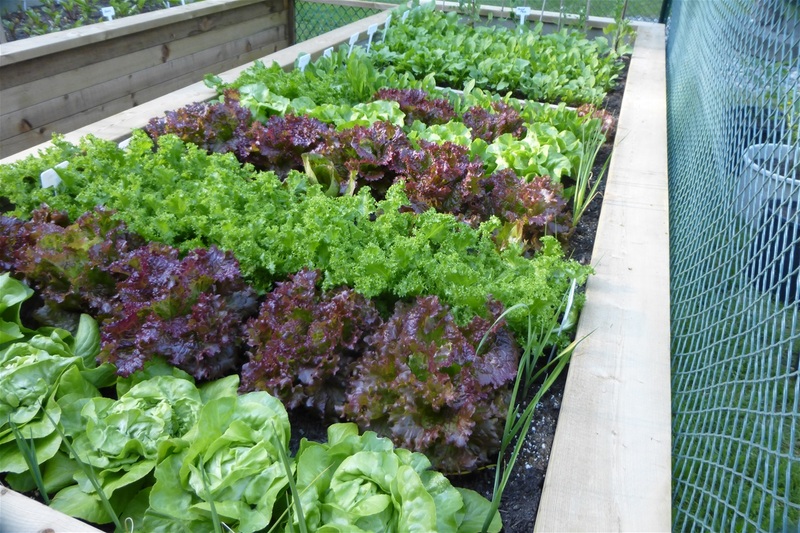 Our goal is to grow organic crops and share with the community healthy, nutrient dense, delicious and flavorful produce. We are a non-certified organic micro farm. 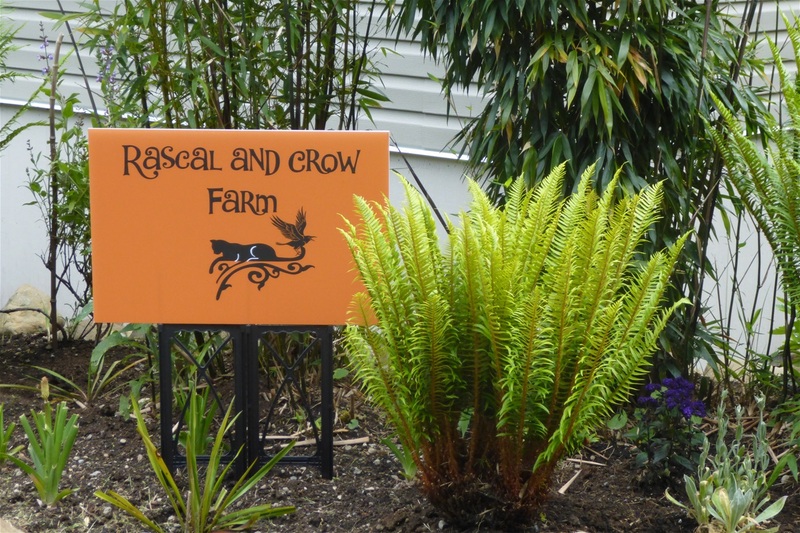 Note: You will also find us on "Facebook" under "Rascal and Crow Farm". Our site is continually adding and updating new pictures and information every season to our albums. 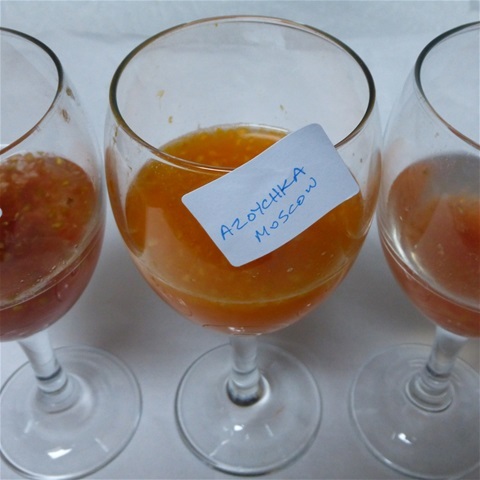 Check out our "Menu" bar for more exciting pics. * We supply: - Victoria (Vancouver Island) area Restaurants, Bistros and Cafes as well as Private Clients (on a minimum quota). You can contact us using the menu bar above. Some of our harvest of 2018 "rare" Heirloom Tomatoes. 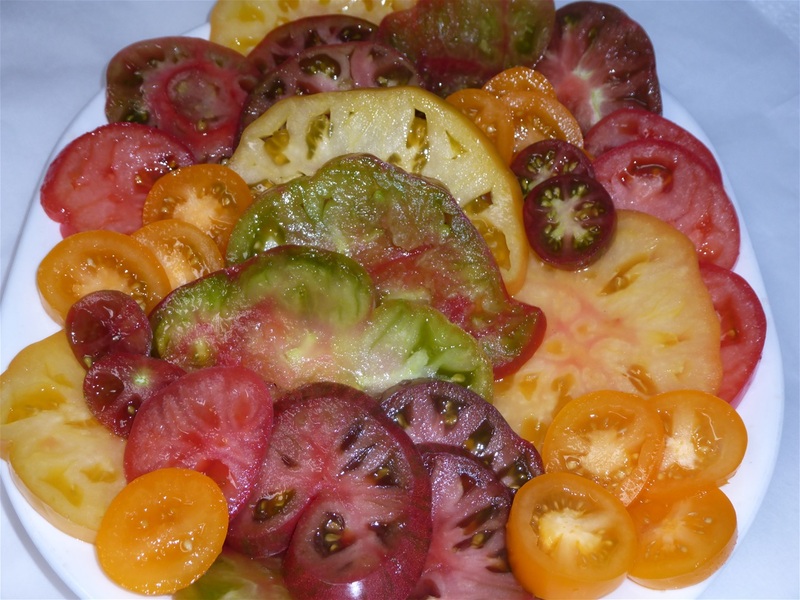 Here are 7 Types of "Heirloom" tomato slices showing of our (2017) harvest: Siniy, Justyna, Russian Cossack, Jade Pink, Ananas Noir, Bumble Bee Cherry and Claudine's Sunset tomatoes. Planting our "rare" Heirloom Tomato seedlings in one of our greenhouses in warm soil temperature on the 1st of June with minerals surrounding the plants. We select our best and strongest seedlings to plant from each variety. 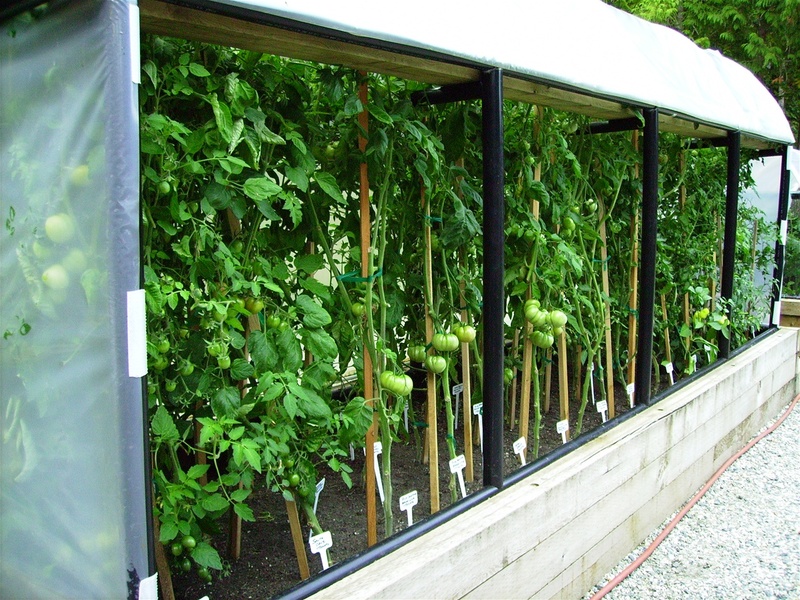 One of our greenhouses growing indeterminate tomatoes..
Our (2) side potato boxes and in the center we have one of the seedling and the micro-greens greenhouse. 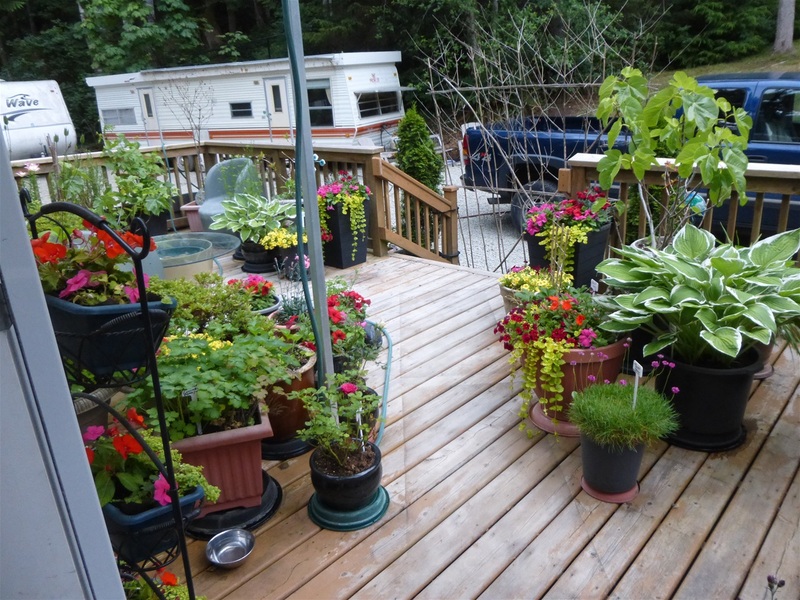 Some of our open-air garden. 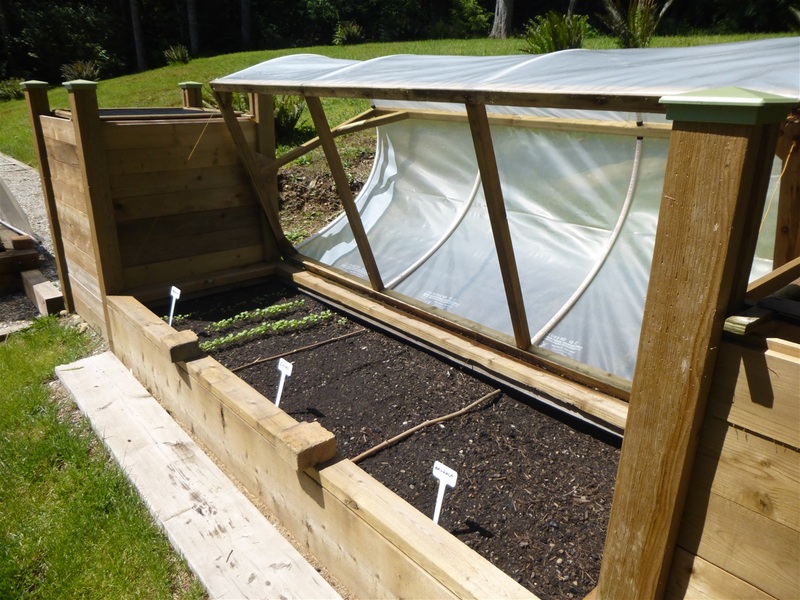 Open-air garden with heirloom vegetables. 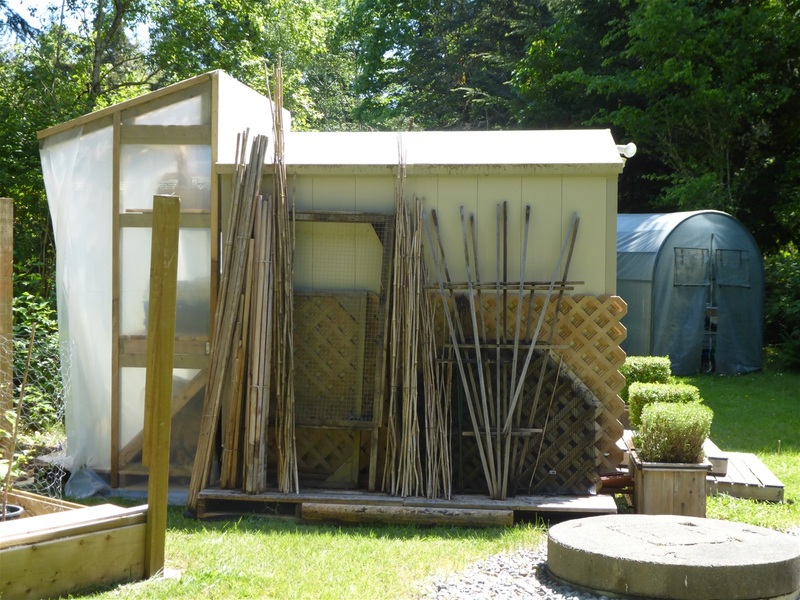 Our Pumphouse and Garden Supply/Potting Shed attached in the back with our garden support storage on the side. Thank you for your support and visiting us... we hope you enjoy our site's many albums. 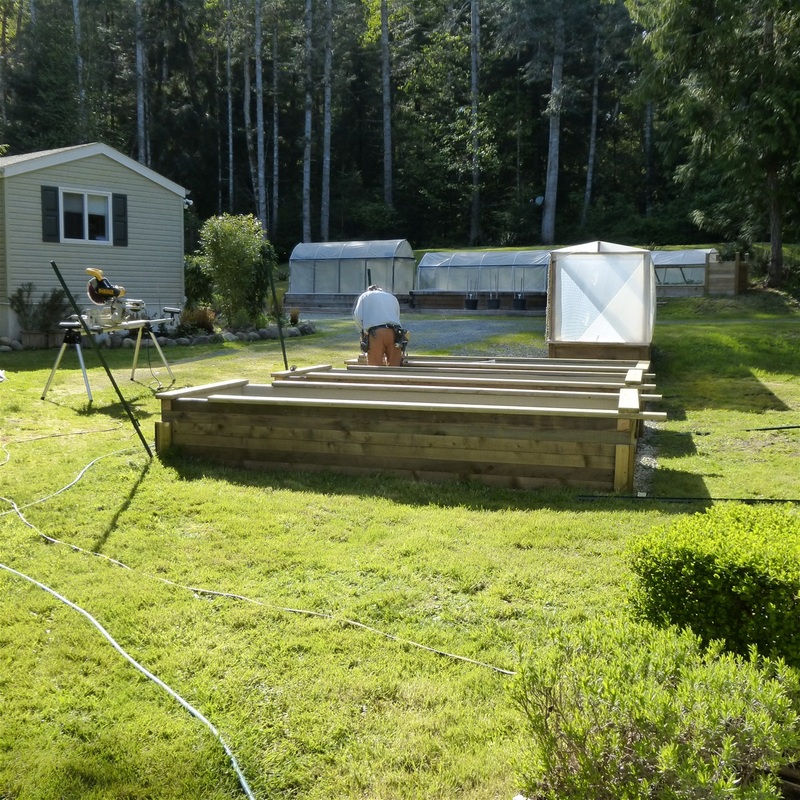 Featuring: Our new photo albums "Growing Tomatoes"... learn step by step how we grow our tomatoes and "Farm Garlic"... showing growth and how we process them ... we keep updating all albums during and after the growing season. Our "Farm Dishes" album is also being regularly updated with new and exciting culinary pictures... come and check out some of our delicious dishes, breads, desserts etc.